We've scoured Europe for the most romantic locations to visit on your next getaway. These must-see destinations will leave you in awe of their beauty and charm! This coastal Croatian City boasts arguably the most beautiful sunset in Croatia! Sip champagne as the sun dips into the Adriatic Sea and the seafront erupts with applause! 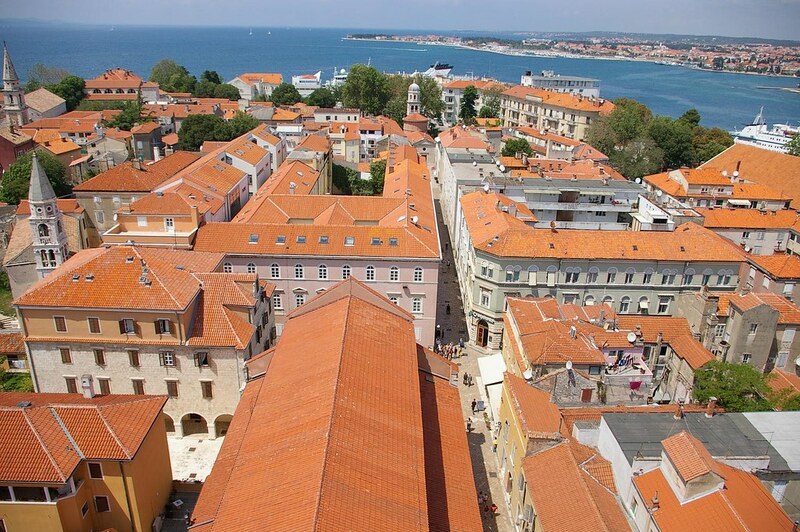 Meandering through the quaint and historically-abundant Old Town of Zadar, it’s easy to feel as though you’ve stepped back in time. Our top tip: Keep an ear out for an experience unique to the north of Croatia, the Zadar Sea Organ! Listen to the wind and waves push air through a series of tunnels, creating a mesmerising sound to complement the stunning views on the Zadar waterfront. Let us start by saying that the hike is well worth the view! Head out of the Hvar town square and up the stairs to make your way to the Spanjola fortress. This fortress was rebuilt in 1579 after a gunpowder explosion destroyed most of the original fortress. The reconstruction is now complete with historical information and a cafe serving refreshments, so allow time to fully explore this spectacular landmark! Our top tip: If possible, visit the fortress at sunset. It’s height above the town ensures the sunset view is second to none; looking out over the town of Hvar, the surrounding bays and the Pakleni Islands. Plitvice Lakes National Park has been a UNESCO World Heritage site since 1979 and encompasses an area of 30, 000 hectares. The area contains 16 terraced lakes, as well as the largest waterfall anywhere in Croatia – the Veliki Slap (or the Great Waterfall), cascading down a 78 meter high rock face! With three quarters of the park being covered in thick forest, it is easy to feel as though you’ve been transported into an enchanted forest! Our top tip: As you are not able to swim in the Plitvice Lakes, board a boat and marvel at the waterfalls up close whilst being transported across one of the large lakes! Oia…the pinnacle of sunset viewing locations! The town is built into the face of the caldera and looks out across the Mediterranean as far as the eye can see. Everywhere you look white buildings sit in stark contrast to blue, yellow and pink roofs, doors and window frames! Oia is so famous for its sunsets that you’ll often find people coming to this hot-spot to re-create their wedding photos in the idyllic surrounds! Did we also mention the deafening applause tourists give the sun as it dips into the sea? Oia is truly a magical place! Our top tip: Spend the afternoon getting lost between colourful buildings and alleyways before finding your ultimate spot to take in the sunset with a gyros in hand. There are numerous viewing points that are frequented by tourists however you may just be able to find somewhere a little more secluded to experience the most breathtaking sunset in the Greek Islands!